Blip Blup used to cost $.99, but it's temporarily free. The object is to color all of the tiles. 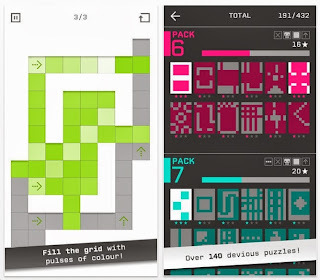 Tap on a square, and all of the tiles in all directions will colorize. Kind of like a Queen in chess, but more so because there are ripple effects. Check this out: there are currently 13,986 players. Only 117 people rated it. 22 wrote reviews. 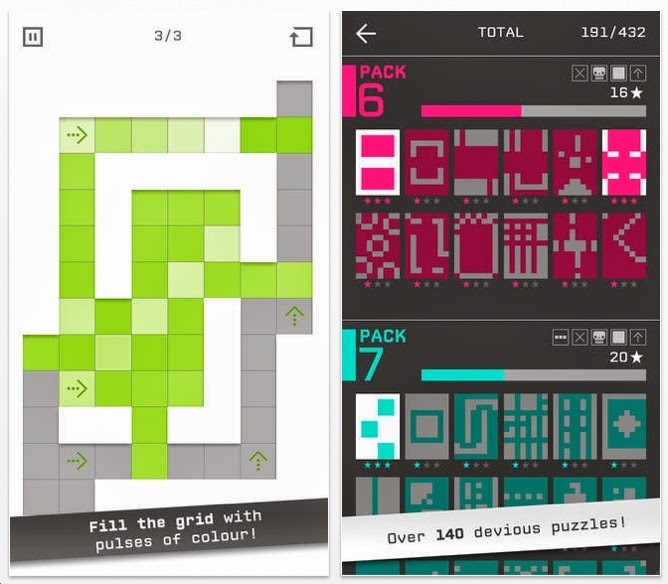 There are 140 some puzzle levels. I've done about 50 levels. There are some interesting features: walls, obstacles, skulls. Some squares toggle on/off. But there's one thing I'm not crazy about: the graphics. They should be more crisp. 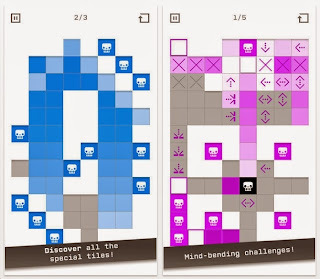 Blip Blup is a serious puzzle app game that you should definitely try.